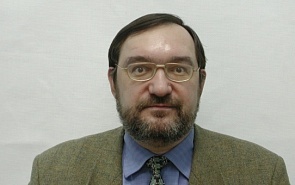 Professor, Department of International Relations, School of International Relations, St. Petersburg State University. Russia and the U.S. in the Arctic: A New Confrontation or Damage Limitation? Serious international experts do not see any particular alarming trends in Russia’s military behavior in the Arctic in the aftermath of the Ukrainian crisis. There was no any substantial paradigmatic shift regarding the Kremlin’s vision of the military power’s role in the Arctic. Mainstream Russian foreign policy thinkers believe that by ousting Yanukovych and bringing nationalistic/anti-Russian forces to power, the EU and US crossed a “red line” in the post-Soviet space. They argue that the West violated a tacit agreement with Moscow to preference soft power over hard power in the post-Soviet space.